Famous for his Impressionist landscapes, this nineteenth-century French-born painter is remembered for Church in Moret (1889); Molesey Weir – Morning (1874); Flood at Port-Marly (1876), and numerous other works. After briefly studying business in London, he trained at Paris' famous Ecole des Beaux-Arts. He painted one of his earliest works, Lane Near a Small Town, in the mid-1860s. Between the late 1970s and the early 2000s, Sisley's painting Allee des Peupliers de Moret was stolen on three occasions from the Musee des Beaux-Arts. 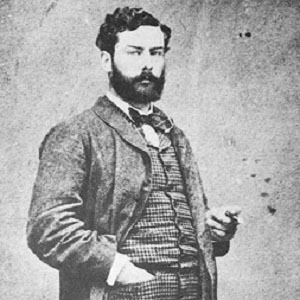 The son of Englishwoman Felicia Sell and wealthy British silk merchant William Sisley, Alfred Sisley spent his childhood in Paris, France. Though they did not marry until the end of their lives, he and Eugenie Lesouezec were together for many years and, in the late 1860s, welcomed children named Pierre and Jeanne. He was a contemporary of fellow French Impressionists Pierre-Auguste Renoir and Claude Monet.